Our dog Rhody (named after the Rhododendron flower) is a sweet Australian Shepherd. 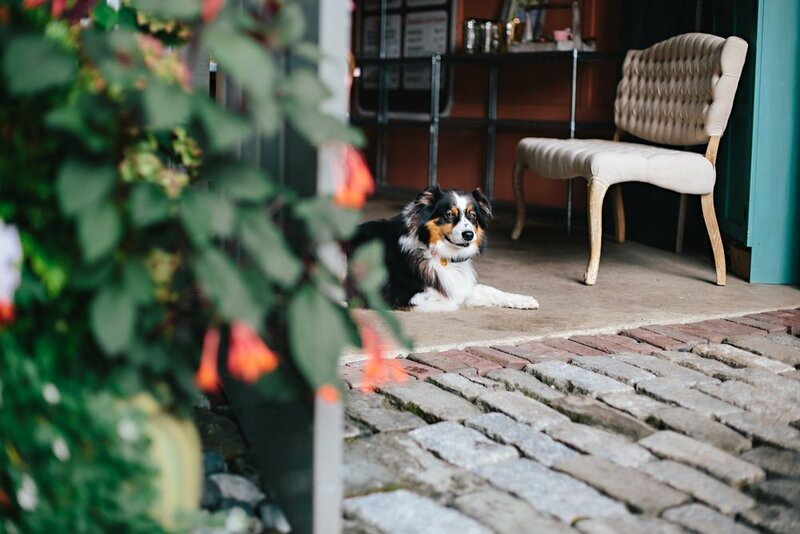 He may bark as you come up the drive, but he is simply welcoming you to the property. Let Rhody say hello and he will be your friend for the entirety of your stay.